When we talk about Easy Boating, we refer to something that is more than a philosophy. It’s a way of life – a constant thread that runs through everything we do so that you can relax and enjoy every special moment on the water. In the world of Volvo Penta, our contribution to your relaxation and enjoyment comes from developing safe, reliable and proven technology for use on board your boat. It’s been our mission for over a century. Our teams are constantly striving to develop new solutions that align with your everyday way of life. 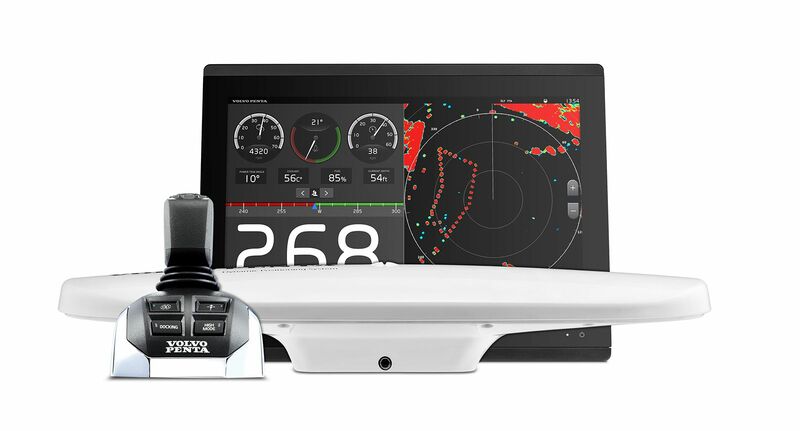 Take for example the recently launched Easy Connect, which gives you a dashboard-style overview of your boat, engine, routing data and more, directly on your smart device via Bluetooth®. Or, look at the new Water Sport Control which makes the wake surfing experience more seamless than ever for captains and riders alike. This year’s products and upgrades are all perfect examples of smarter solutions designed for improving your on-the-water adventures. This is the smarter way to easy boating. 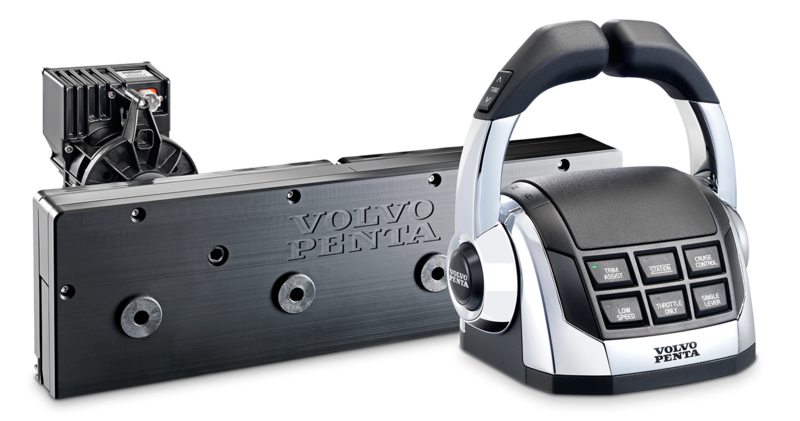 Once again, Volvo Penta has created a new standard. With the Glass Cockpit System as a central feature, we have realized our vision of a completely new, marine driver environment. Available from 7- to 24-inch widescreen format, the Glass Cockpit System integrates all driver information in one location. 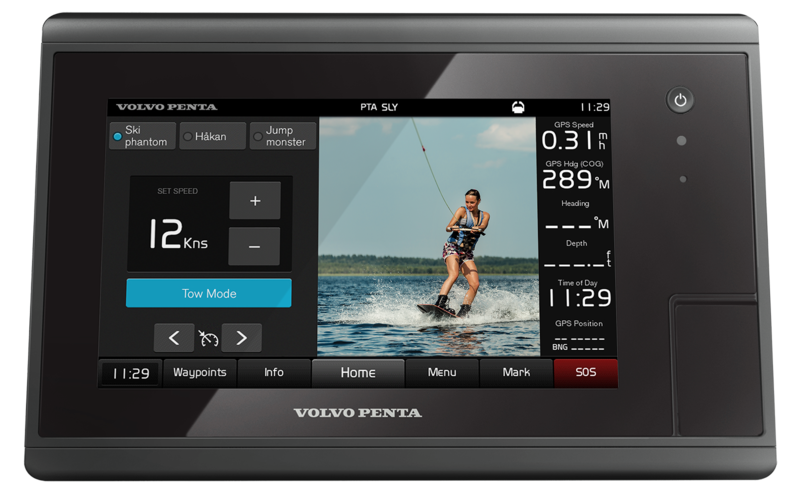 The multi-function, touchscreen displays give you a full overview of navigation and engine data, together with Easy Boating functions such as Autopilot, Joystick Driving and Water Sport Control. The displays are integrated with buttons on the throttle and joystick controls allowing you to switch between preset layouts – increasing your safety, awareness and enjoyment at sea. With the e-Key panel you only need one key to lock and unlock the system. 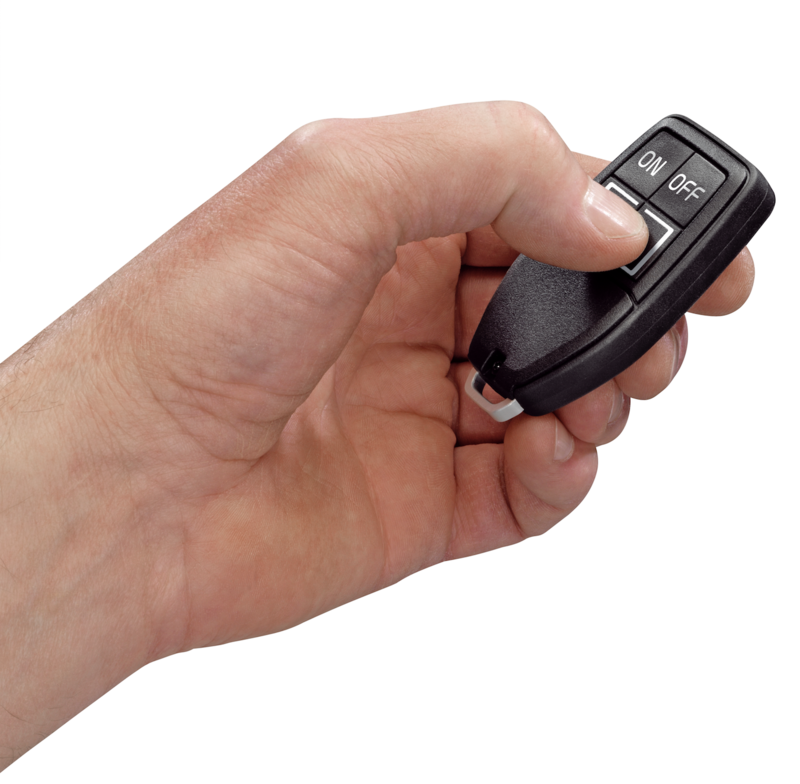 Swipe the e-Key in front of the panel or press the ON button on the e-Key Remote and the system powers up – authorizing you as the user of the boat. 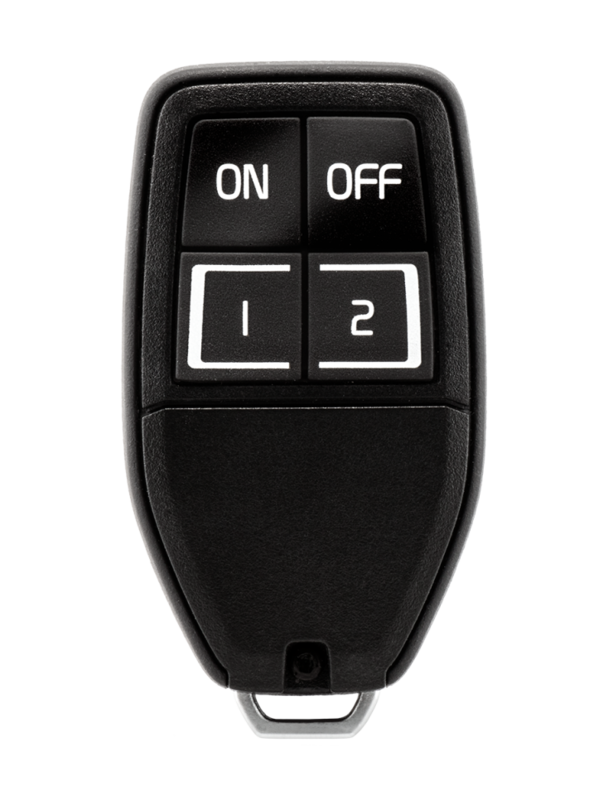 You can also program the e-Key Remote to operate on specific onboard functions such as deck and interior lighting or an automated gangway. 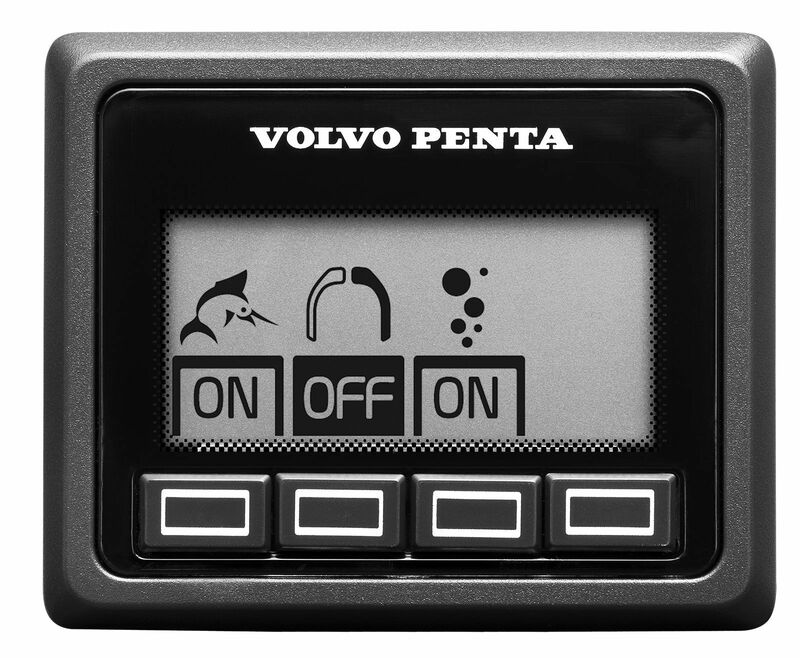 All Volvo Penta controls are ergonomic with a solid, high-quality feel. On this top-mounted control, all EVC functions are activated and adjusted via easily accessible buttons – for increased comfort, better drivability and enhanced safety. Volvo Penta’s selection of steering wheels combines high quality with a stylish design that is perfectly matched to our range of EVC controls and displays. Available in different stainless steel models and combined with mahogany or leather. Aquamatic, Volvo Penta IPS and now Inboard shaft installations can benefit the advantages of precision maneuverability. Regardless of which propulsion system you choose, you can add useful features such as Joystick Docking and Joystick Driving. A whole new way to maneuver with precision at all speeds. 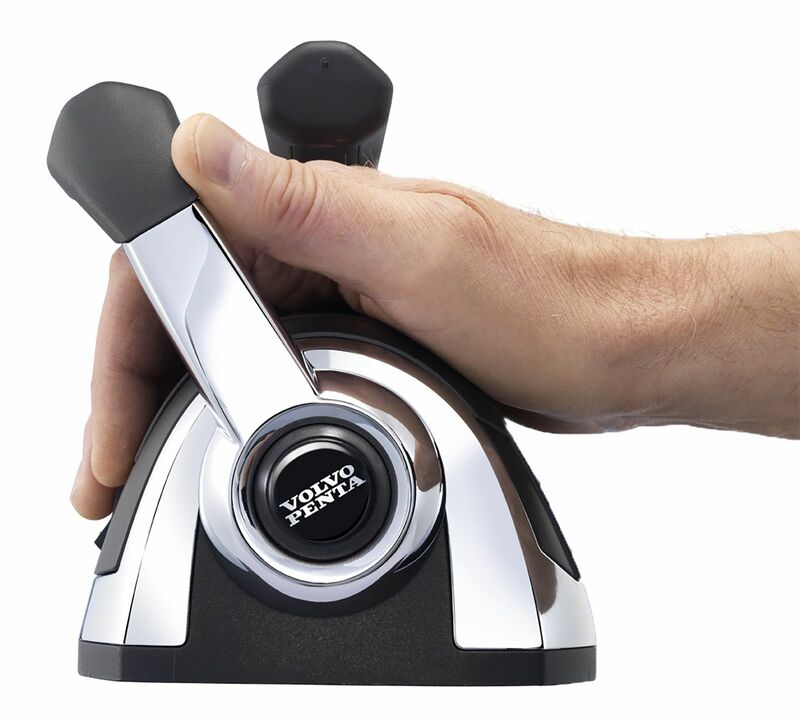 You steer comfortably with the joystick. The integrated autopilot supports joystick driving by automatically engaging after every course change. Makes docking easy, even fun. Forget complicated maneuvers in close quarters. Just move the joystick in any direction and your boat will follow. You can install up to six Joystick Docking stations on your boat. 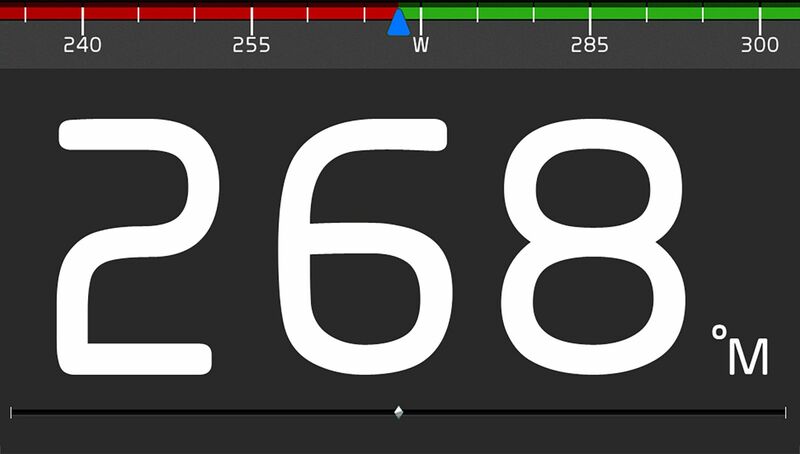 The Dynamic Positioning System for IPS is a perfect feature when you wish to automatically maintain your position and heading for a moment, i.e., when preparing for docking. 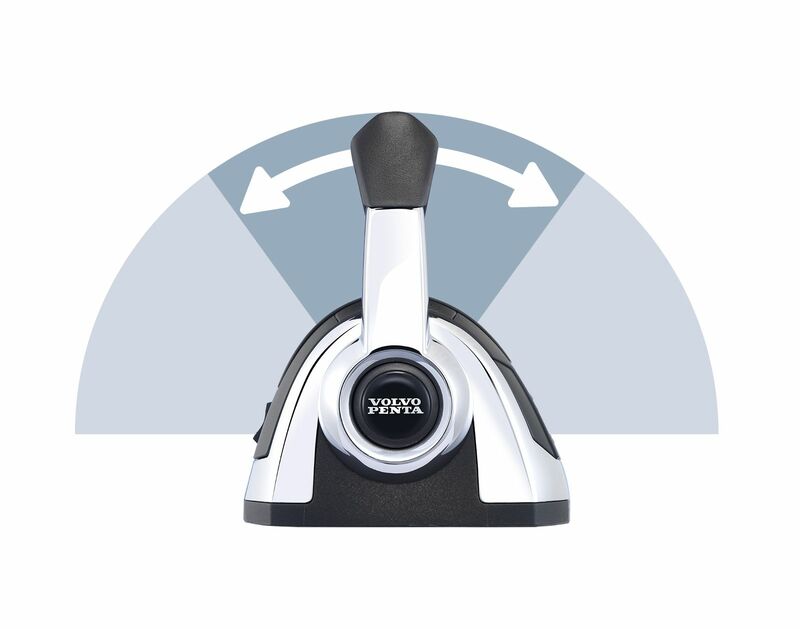 With the repositioning feature, you can automatically rotate the boat, move forward, backward and sideways, while remaining in DPS- mode – with just a simple tap of the joystick. 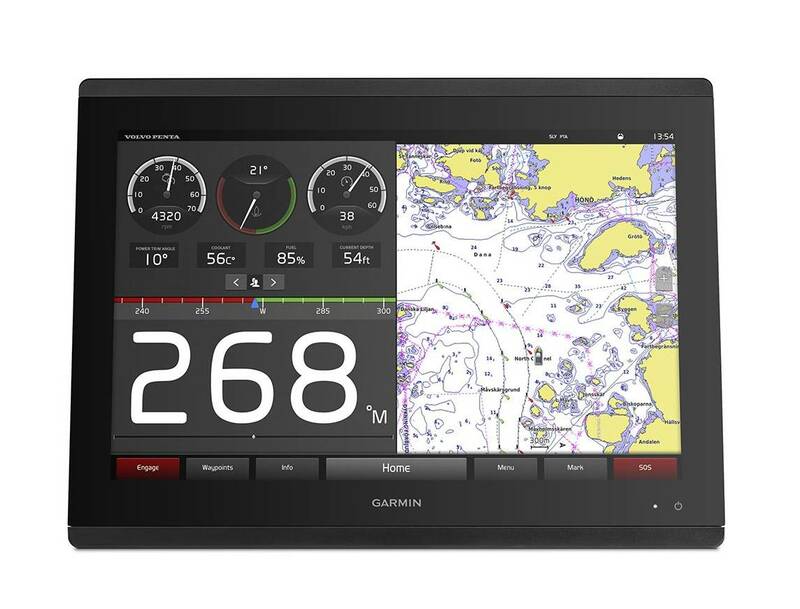 Take full control of boat speed, drive trim, ballast tanks and trim tabs. Create your own user presets. Gathers all driver information in one place – for enhanced overview and instant control of both navigation and engine. EVC-integrated, locks automatically to steering wheel course changes (shadow drive). 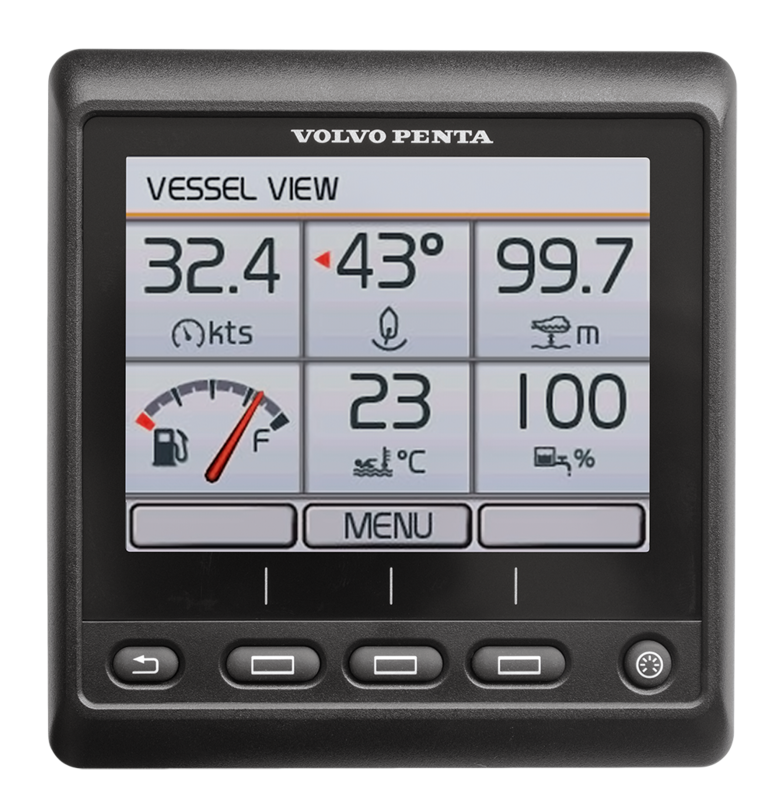 Get trip computer functionality with information about fuel consumption, distance to empty, trip time and much more for optimizing your boat’s performance. Makes it possible for you to rapidly turn your boat around its own axis – and follow the fish at high speed in reverse, using only the engine controls. The system gives you a complete overview of battery status, helping you to manage your onboard electrical system. With fingertip control of your engine rpm, you can fine-tune your boat’s speed for best possible fuel economy and comfort. Reduces boat speed at idling by 50% from 5–6 knots to 2–3 knots. Integrated in the control. Perfect when you’re driving in marinas and canals. 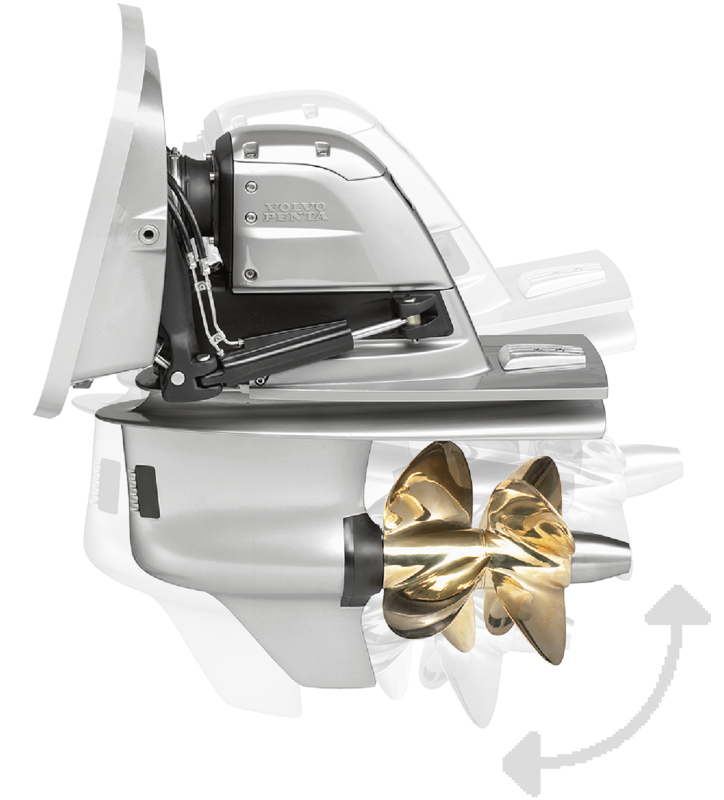 The robust and compact design of the trim system ensures efficient and reliable trimming for Volvo Penta-powered boats 35–100+ foot. 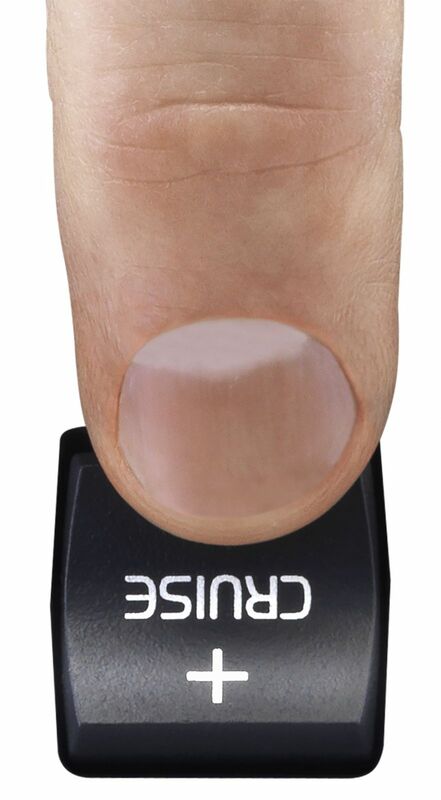 Fully integrated with EVC, it has become the perfect Auto-mode solution. Fully automatic trim adjustments will make your driving easier than ever. Operate twin, triple or quad engines with only one lever. Gives you easy control over speed even in rough seas. Gives you the best possible drive trim – fully automatically – for perfect running attitude. Results in optimum performance and low fuel consumption.